Brown beef along with garlic and onion. 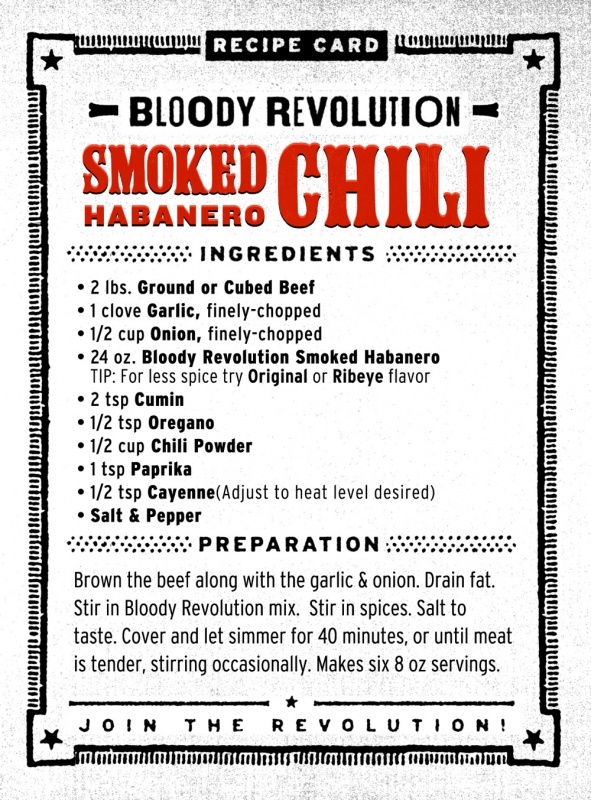 Stir in Bloody Revolution mix. Cover and let simmer for 40 minutes, or until meat is tender, stirring occasionally. I’m visiting from LA, but lived in Austin and the surrounding area for 21 years. Just had brunch at Palmer’s in San Marcos and had THE BEST Bloody Mary of my life! Walked across the street to Twin Liquors and bought a bottle of your original mix, then came back to my daughter’s in Austin, looked on your website, and found a local HEB and Twin Liiquors that carry your products. Although she can ship me bottles of your amazing product, I can’t wait until I can order them online myself or, better yet, buy them locally. Hurry and get your shop open and expand your distribution QUICKLY! You have an AMAZING product!